← A common affliction among my two wheeled brothers & sisters. Early rise to meet my friend Ross and his recently tuned Moto Guzzi for a run at the track. I’m merely tagging along but I have a feeling it may be the beginning of a new interest. My heavy FJR may be too much for the track at this time but maybe a 250cc or 600cc sport bike may be in my future. We arrived at the Harris Hill track around 9:30am. Friendly staff greeted us at the rider sign in area. As a observer I was instructed to head over to the nice air conditioned waiting area to sign a waiver. 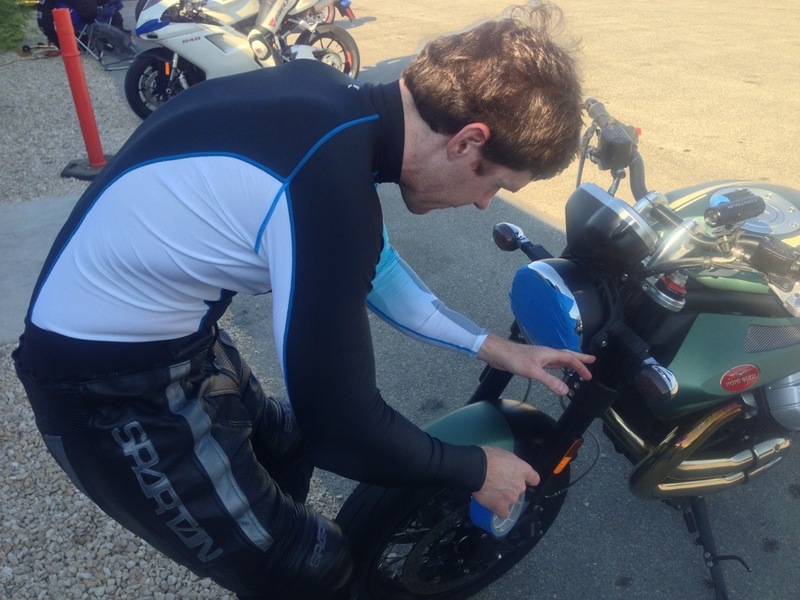 In the parking lot, you are met by friendly folks prepping their bikes for the days ride or licking their wounds and telling their war stories. A wonder mix of bikes are to be found. 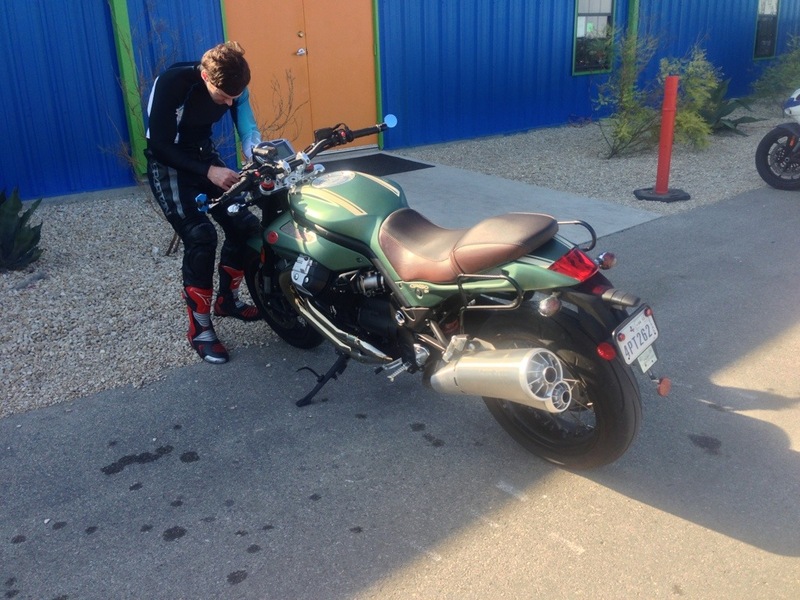 My buddy Ross rides a newer Moto Guzzi Griso. He recently had the suspension tuned for more spirited riding. Lots of Japanese inline fours but quite a few Ducatis with their wonderful sounding V twins. To ride, you have to tape up all your glass and and plastics. The track is a controlled environment. Here to satisfy the need (if I may quote Rush) “To test the limits of machine and man”. 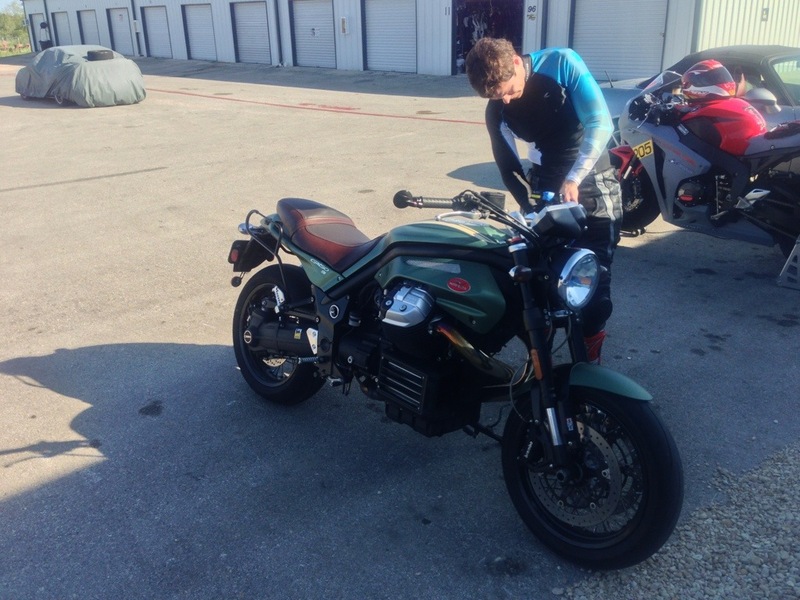 This entry was posted in Track Racing and tagged Harris Hill Raceway, Moto Guzzi. Bookmark the permalink.